To celebrate the 20th Anniversary of Neil Jordan’s definitive film of Ireland’s struggle for independence, Michael Collins, The Audi Dublin International Film Festival is calling on all extras to share their stories for a chance to take part in a reunion event on February 20th in Dublin. The huge scale of the production impacted on everyday life in Dublin in 1995 where the city’s historic landmarks and over 4000 extras played a vital part in breathing life into key scenes. ADIFF would like to hear and see the many stories and images that people hold dear from the experience as part of a living history project and a celebration of the role of many citizens in the making of a modern historical classic and the biggest Irish film ever at the Irish box office. 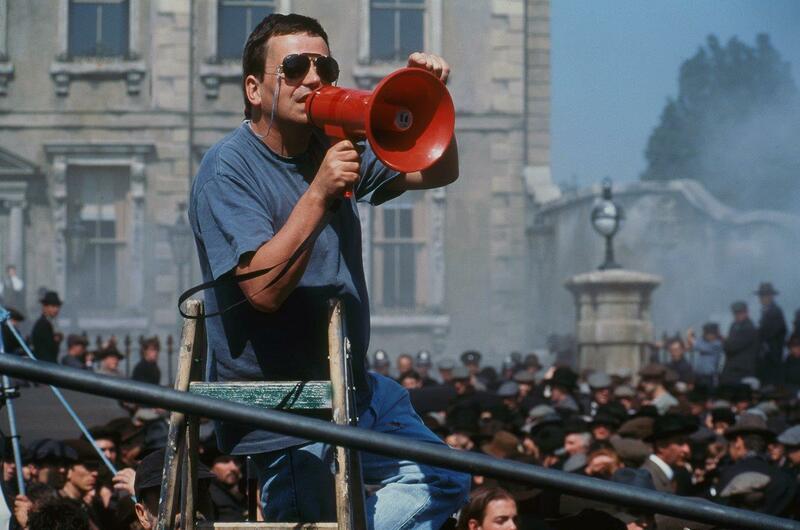 Writer / Director Neil Jordan commented "We had to do everything for real on Michael Collins, since it was made twenty years ago, before CGI became the norm. I would like to thank the people of Dublin, the City of Dublin and Warner Bros., for their unique co-operation, without which it wouldn’t have been possible." There will also be a chance to attend a special reunion event in Dublin hosted by the film’s producer Redmond Morris on February 20th followed by the 20thAnniversary Premiere of the film as part of ADIFF, attended by Writer / Director Neil Jordan and cinematographer Chris Menges. To enter please share your story of your Michael Collins Extra experience by emailing industry@diff.ie. Feel free to include any images you’re happy for us to share.